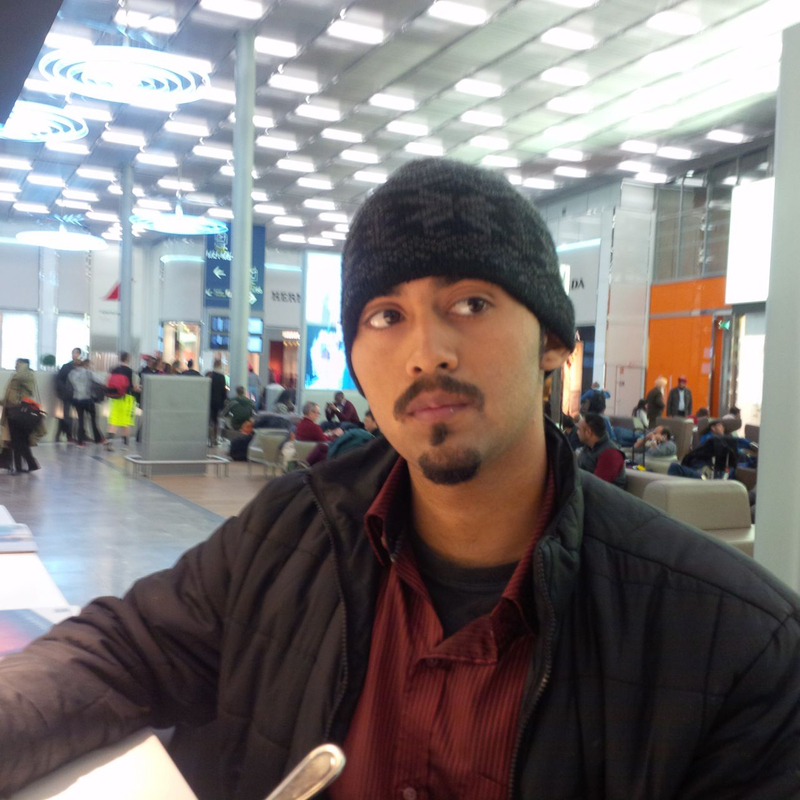 Prashant Tiwari, 20, seen here in this 2013 photograph, suffered from depression and was on suicide watch when he committed suicide at Brampton Civic Hospital. The hospital has been reluctant to share details. A gamut of systems— health, school and society—failed Prashant Tiwari. Trapped in an abyss of darkness and hopelessness, Prashant probably felt he had no choice, but to finish the task he had set in motion a few days earlier when he grabbed a knife and stabbed himself repeatedly on the torso, neck and other parts of his body. At that time, he could have harmed himself fatally; but instead he reached out in despair and asked his father for help. In the ER, Prashant clung on to a weak thread of hope and placed his trust— and life — on a team of professional all sworn on the Hippocratic oath. On June 26, at approximately 2 a.m., the 20-year-old — who was supposedly on a suicide watch at Brampton Civic Hospital (BCH) — removed his clothes and fashioned a noose around his neck. He then climbed on to a chair and proceeded to hang himself from a vent in the washroom. His body was discovered three hours later. A retired nurse that I spoke to recently expressed surprise at the circumstances surrounding Prashant’s death. Apparently, patients placed on suicide watch cannot wander into the washroom, unsupervised. How’s it that, she wondered, for three hours no one bothered to check on a high-risk patient who had few days earlier slashed himself and needed multiple stitches? I’m certain, it must not have been easy for Prashant’s still-grieving family to revisit and share details of his life and death. Yet they did. The raw grief on their faces as they talked about him was heartbreaking. Both Rakesh (dad) and Gautam (brother) talked candidly without sugarcoating the truth because they want Prashant’s story to be a lesson and a wake-up call for families nursing a relative with mental health issues. Prashant, a child of divorce, for some odd reason blamed himself for the fracturing of his parents’ marriage. He carried guilt, truckloads of it. Distraught father Rakesh Tiwari has been running from pillar to post seeking answers around the death of his son, Prashant. 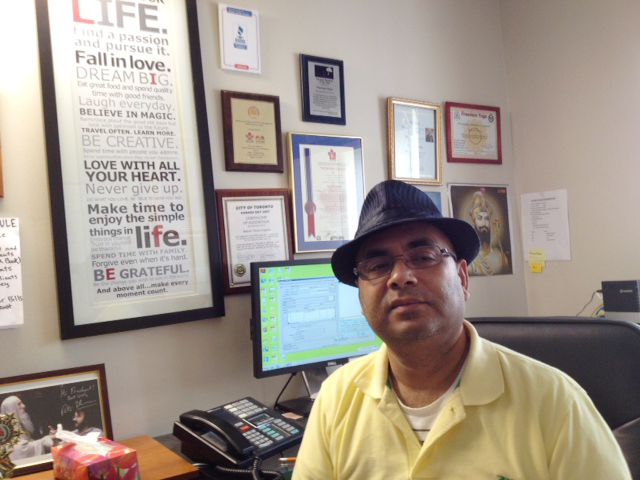 Prashant was on a suicide-watch at the Brampton Civic Hospital (BCH) when he took his life. As the drama of life unfolded in the Tiwari household with custody battles and divorce proceedings, a young bewildered child unwittingly became the collateral damage in the saga of life. He was four-years-old or even less when the world stopped making sense. Following the divorce, Prashant went to live with his mother, but somehow a few years later, he ended up in the foster care system. Try and imagine the confusion of a young innocent child trying to come to terms with abandonment and rejection. The effect of his turbulent childhood soon began to manifest. Prashant was troubled and exhibited behavioural problems typical of a child that had seen more than its share of upheavals. Labeled a troublemaker, he was suspended numerous times for his difficult behavior and later for smoking pot. In Grade 10, Prashant turned into a new leaf. He became a peer leader at school and was active in sports. The insidious demon that was depression surfaced every now and then, but the resilient young man fought bravely. He told Rakesh that he had sought help from his guidance counsellor and his principal. He criticized the school for not doing enough to help students like himself exhibiting signs of mental health issues. If we are looking for irony, how’s this? Prashant graduated from Mississauga Secondary School in 2012. A year before that, the school made headlines when a gruesome incident of murder-suicide involving a student occurred. Akash Wadhwa, 16, jumped to his death (from the Hwy. 401 overpass near Mavis Road), after murdering fellow student, Kiranjit Nijjar. Much like Prashant, Akash suffered from depression. As news of Akash’s and Kiranjit’s deaths rocked the school and the community, Prashant felt the school had let Akash down. Prashant’s death has unearthed a can of crawling worms. He was on a suicide watch, so why was he left unsupervised? What was a chair doing in the washroom? Why was the hospital initially reluctant to conduct an internal autopsy? And more importantly, why are the circumstances surrounding his death still cloaked in secrecy? In my next blog entry, I will reveal details of Prashant’s life leading up to his death including chatting with his friends. Stay tuned. Toronto Hip Hop musician Spitty is making quiet waves for his music. The rapper tackles social issues such as mental health, addiction and teenage pregnancy in his music. Most Hip Hop musicians wear a “bad boy/bad girl” vibe like an accessory. So, when a shy and polite Lankesh Patel agreed to share his passion for that genre of music, he was a far cry from the in-your-face musician, I imagined he would be. When I say “Lankesh Patel” what does the name evoke? It probably elicits an image of a good-looking Gujju lad probably studying a STEM ( science, technology, engineering and mathematics) program, juggling long-hours at a summer job to pay for his tuition and importantly, a dutiful son on his way to fulfilling the modest dreams of his immigrant parents. Now, I urge you to scratch the surface. Spitty, an immensely talented, hip-hop artist with a natural flair for music, will emerge. Spitty sports a beard, wears a ball cap, black tee and nondescript jeans, mercifully not a sagger. The silver chain around his neck could pass off as bling, but even that is not an overt symbol. Then as you listen to his music, Lankesh quietly and completely disappears. The torrent of words— stringed in a rhythmic beat— escape Spitty lips like gallons of water gushing out of a pipeline. This kid was definitely born to rap. 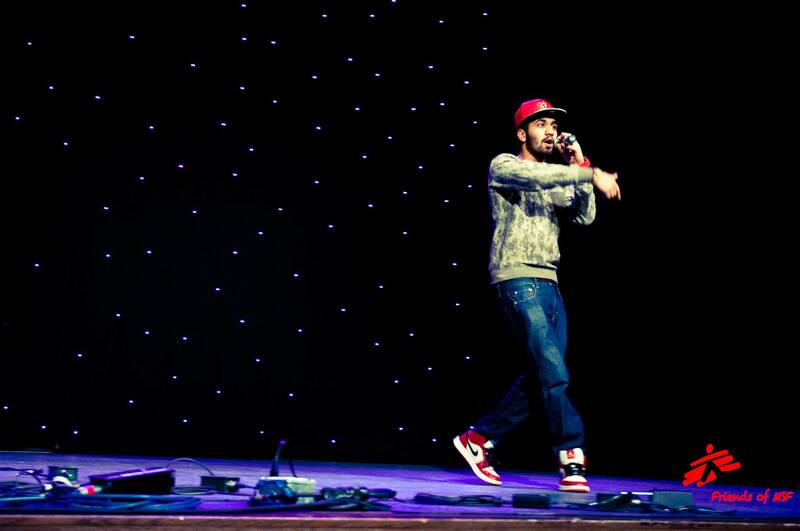 It was during elementary school that Lankesh found his inner rapper. He recalled how he would have a spring in his step when walking to the bus stop because he rapped the entire distance. Unlike the profanity-laced verses of well-known names populating this genre, Lankesh’s lyrics are PG, but that doesn’t mean he doesn’t push the envelope. Take for instance his latest video— Life— shot in fabulous Toronto where he talks about prostitution, pregnancy and what not. Spitty has won prizes for tackling serious issues such as mental health and addiction. Speaking of which, Lankesh’s rap video of Toronto Mayor Rob Ford dubbed Tom Ford went viral. Similarly, in his song, Brampton, he pays ode to his hometown B-town. After the song and Lankesh’s story were featured in the local newspaper (the one I work for), city officials invited him to be part of Canada Day celebrations. In the video, Spitty pays homage to all famous Bramptonians and they include: NBA stars Tristan Thompson and Anthony Bennett; stand-up comedy king Russell Peters, super-funny and Superbad Michael Cera and others. When I pointed out to the absence of heavy-metal bling on his body, Lankesh-the-good-kid shyly smiled. I figured, neither the bling—or the sagger— would have gone well with his parents, particularly his grandmother, who driven by absolute love for her grandson can be coaxed into listening a rap song or two, but strictly Spitfire music only.